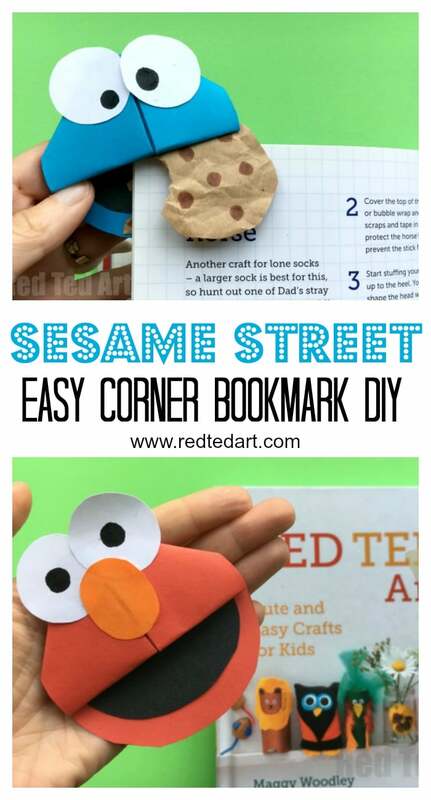 I think we had these Sesame Street Corner boookmark DIYs coming for a LONG time… I don’t know why it has taken me so very long to finally get them to you. 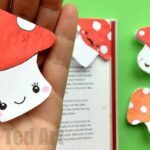 But here they are.. super quick and easy Cookie Monster Bookmark Corner and a Elmo Bookmark Corner (the Elmo bookmark is EVEN EASIER than the Cookie Monster.. so quick, so cute, so fun). 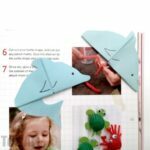 So if there are some Sesame Street fans in your house, then these darling bookmark corners are just the thing for you! 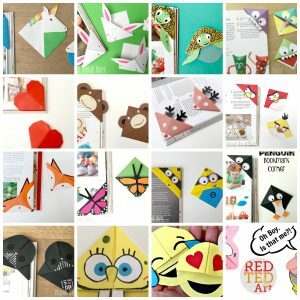 As you can imagine, both Sesame Street Characters are similar to make, and once you can make one basic Origami Bookmark Corner, you can pretty much make ANY of our Corner Bookmark Designs. However, I have a video on each one individually – so pick the one you fancy watching!!! (Or watch both!). 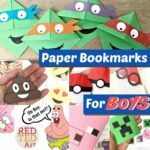 Or check out our written instructions down below! 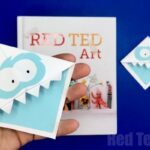 For both Elmo and the Cookie Monster Craft, begin by making this basic Origami Bookmark Corner – you can print out those instructions if need be. 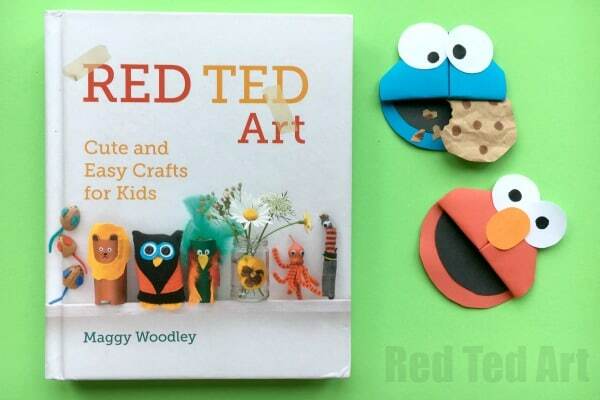 Red for your paper Elmo Bookmark and blue for the paper Cookie Monster bookmark. 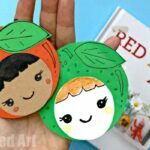 Use a glass or tin can as a guide and draw a circle around you bookmark – it must NOT be a full circle – you still need “straight edges” on the side, to avoid the bookmark falling apart. Next, you will need some large white eyes for both Elmo and the Cookie Monster. I used the top of my glue stick as a stencil. 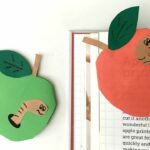 Draw and cut out your yes and using a black pen add a pupil. 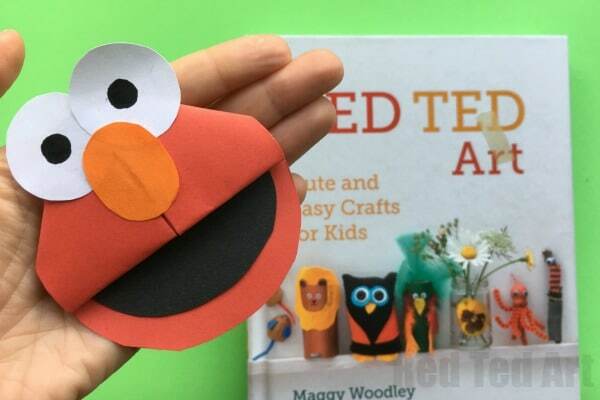 For Elmo you need to make a big orange nose. 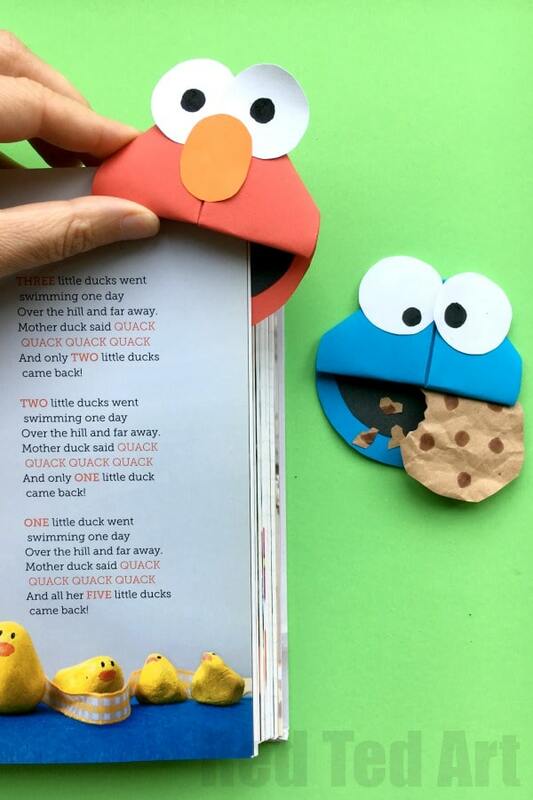 Cut out a black semi circle for both Elmo’s and the Cookie Monster’s mouth. 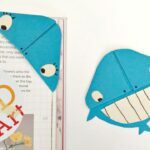 Finally make a cookie for the paper Cookie Monster bookmark diy – I did this, by cutting out a circle from my brown packing paper… scrunching it up a little, drawing on some chocolate chips and cutting out a bite. Glue in place. 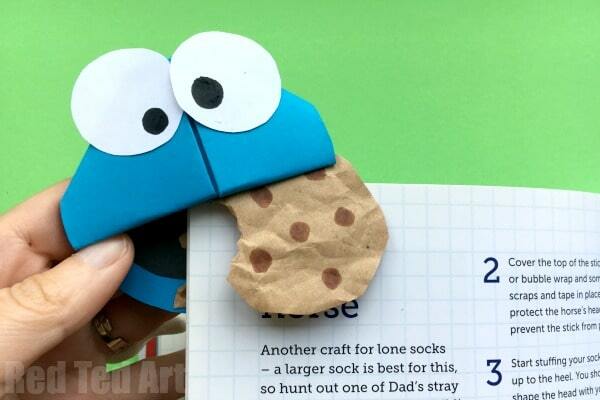 If you wish you can some cookie crumbs to your Cookie Monster craft too! 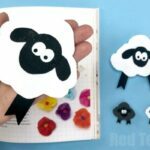 And your DARLING Sesame Street Bookmarks are DONE. Aren’t they simply the cutest?